Before being injected by a serum, Steve Rogers aka Captain America used to be a skinny guy with a short height. He used to idealize his best friend Buck Barnes, who was a military man in World War II. Things changed, he volunteered for a government level experiment and turned into Captain America with Buck being his side kick in the mission to protect their country from the Soviet forces. Until one day, while on a mission he lost Bucky when he fell down from a high cliff due to an accident. Later, in the end Steve Rogers also died. But surprise surprise. It was revealed at the end that after 70 years that Captain America is still alive, but in a frozen state. And in the movie Captain America: winter soldier, Bucky Barnes who was believed to be dead as well was found alive. 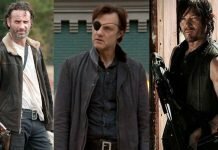 It was revealed that after meeting that fatal accident he was found by soviet forces who gave him a new metal arm, injected him with the same serum as of Captain America and brain washed him for the all these years till now since world war II. 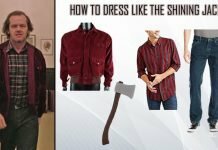 This improvised version of Bucky Barnes goes by the name of Winter Soldier. 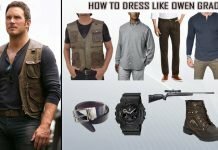 Being portrayed as a Bad guy turned good guy in winter soldier Bucky Barns has created a massive fan following and is an inspiration for tons of his fan fictions. 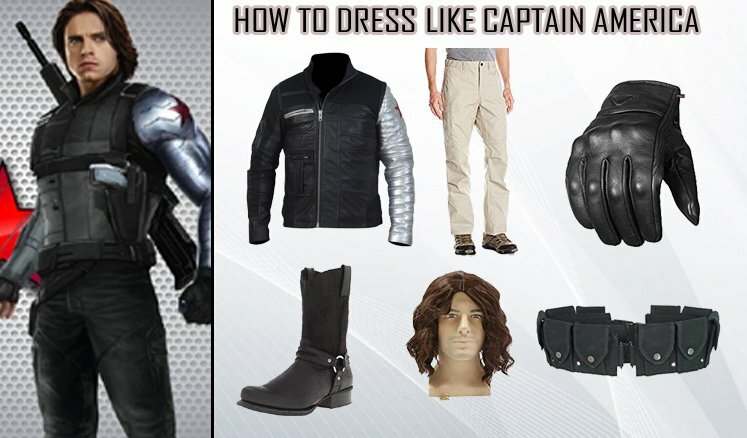 Following is the guide to dress like Captain Americas best friend, and winter soldier Buck Barnes. 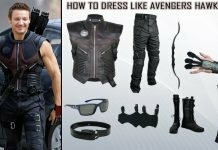 This asymmetrical winter soldier costume jacket is been designed with a fine craftsmanship of awesome precision and fine quality designing. The fine and neatly stitched outlining done on the jacket speaks high volume for its arresting masterfulness inside. 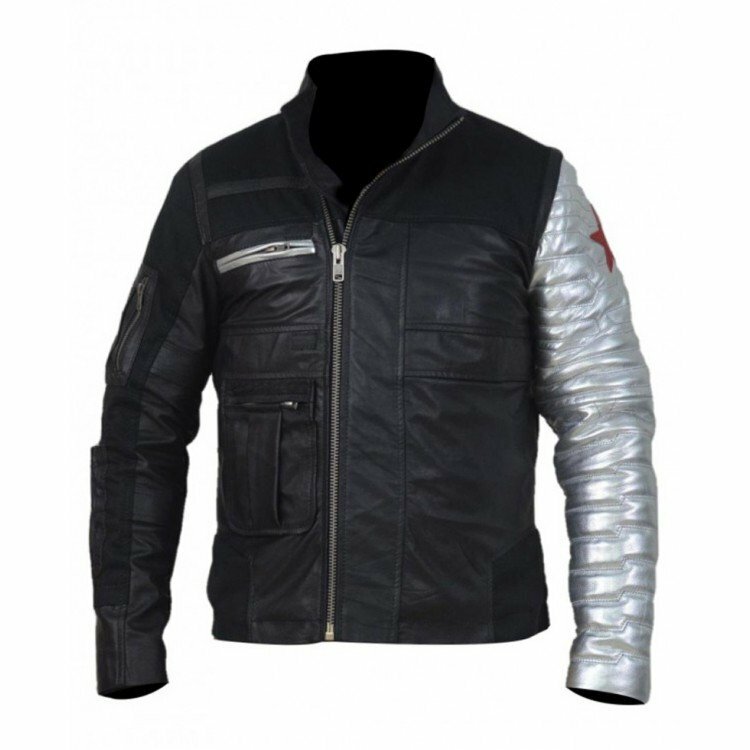 It’s made with Leather and comes with Left padded silver sleeve with red star just like the one worn by Buck in Captain America: Winter soldier. To dress up like Winter Soldier, you need his signature brown locks. 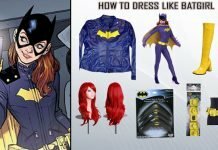 Either die your hair brow that sounds like a lot of work or buy this wig made of high quality fiber. 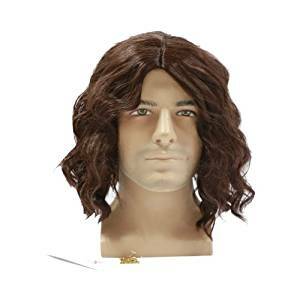 This wig is totally safe for you to wear and attain the look Winter Soldier costume. 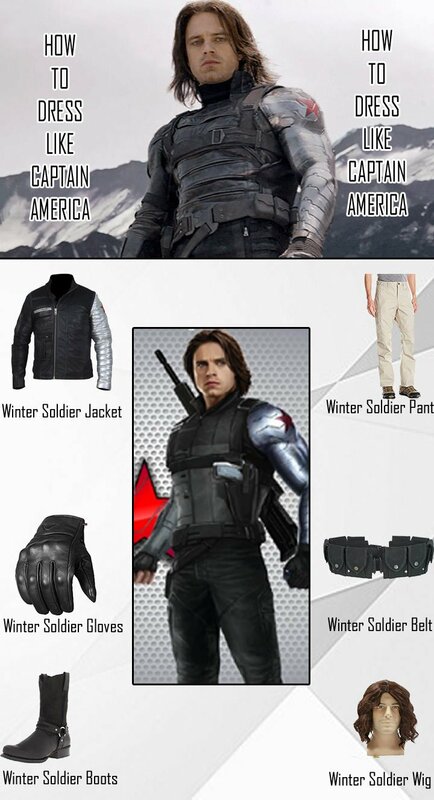 The leather gloves are another detailing necessity of the winter soldier costume. 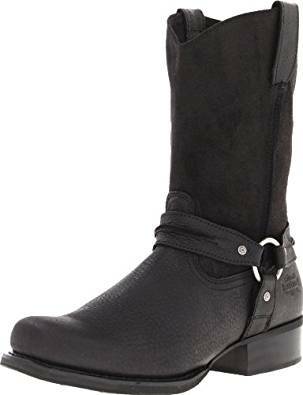 These gloves made with high quality Aniline Goat leather comes with Leather stretch panels that provides you with excellent elasticity along with Adjustable leather wrist strap. 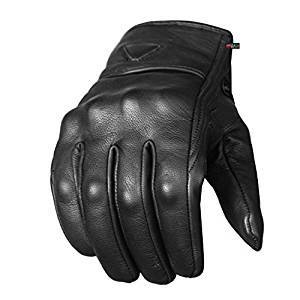 These gloves feature comfortable liner on the back of palm along with Gel padding on wrist to give you ultimate protection against vibration and keep you steady. 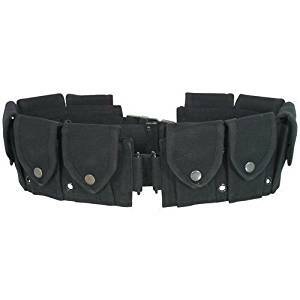 This utility belt is a part of winter soldier costume’s armory. Apart from having 10 Pocket Utility pouches to keep your stuff, this belt features adjustable fit. 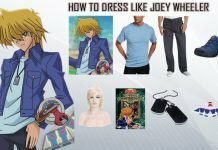 It’s pretty handy. 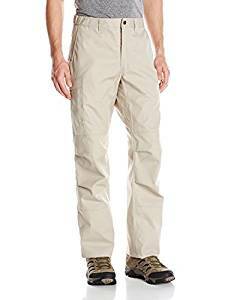 Next item in the line to dress up in winter soldier costume are these men’s phantom tactical pants, made with the combination of polyester and cotton fabric these pants will give you just the right look and right fit for winter soldier costume. 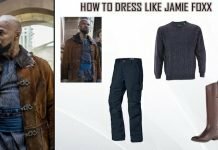 Get all the above mentioned items to get your complete and authentic winter soldier costume look without much ado and rock the cosplay.